Football Kenya Federation has today, Friday, March 16, 2018, held a one-day coaching seminar ahead of the Nairobi Region Chapa Dimba na Safaricom Youth Tournament finals. The workshop, aimed at capacity building of coaches from the grassroots level, targets coaches whose teams took part in the tournament as well as those who graced the basic/ advanced coaching course offered by FKF last year. 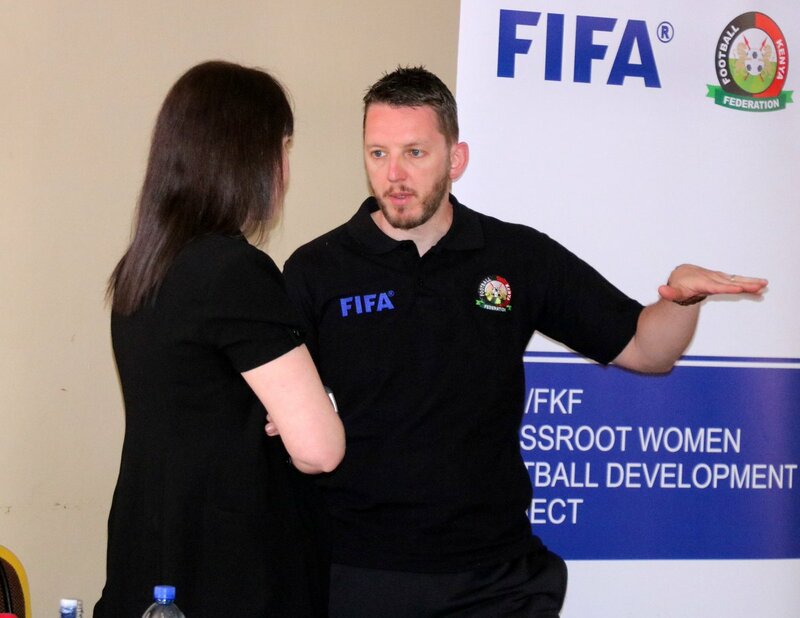 “Our partnership with Safaricom is not only aimed at developing youth and women football but also creating capacity for our grassroots coaches,” said FKF Technical Director Andreas Spier. “It is for this reason that we have purposed to hold coaching seminars in all Safaricom Chapa Dimba Regional finals,” added Spier. The coaching seminar will pave way for the Regional finals set to kick off on Saturday, March 17, 2018, at the Stima Club. Winners of the semifinals, in both the Boys and Girls category, will face off in the final, set to be played on Sunday. The final winners will consequently get a chance to represent Nairobi Region in the National Finals, slated for March 22, to March 25, 2018, at the Bukhungu Stadium in Kakamega.